Time for a coffee break! It is always better with this whimsical brooch. 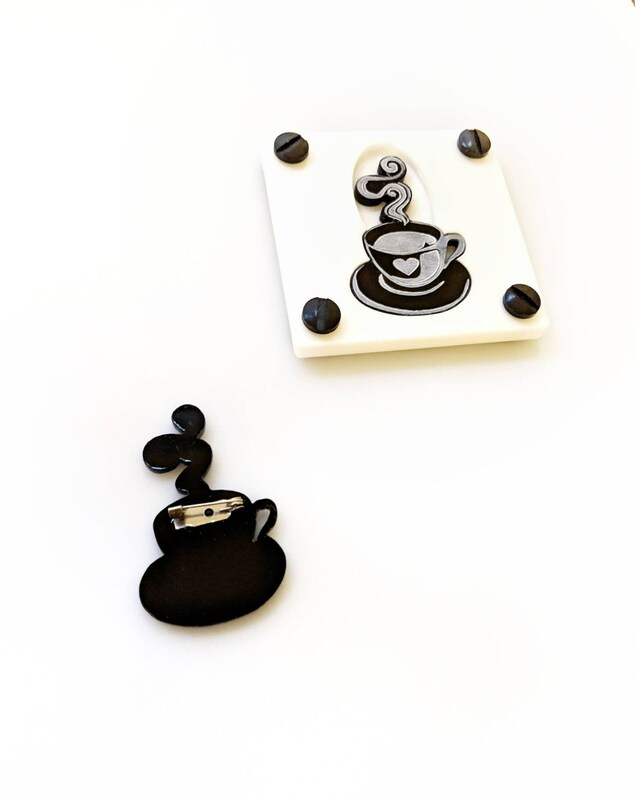 Acrylic coffee brooch entirely designed by me for all those coffee lovers out there. Just add it to your daily colorful sweater and it will highlight your outfit! These laser cut brooches come in a fashionable package designed to create a new way of keeping your jewelry safe and organized, or just for a perfect gift. A perfectly stylish finishing touch for any outfit! The product is entirely hand painted, so if you feel you want a different color for the heart or have any other request, just tell me what you have in mind and I will create it for you!